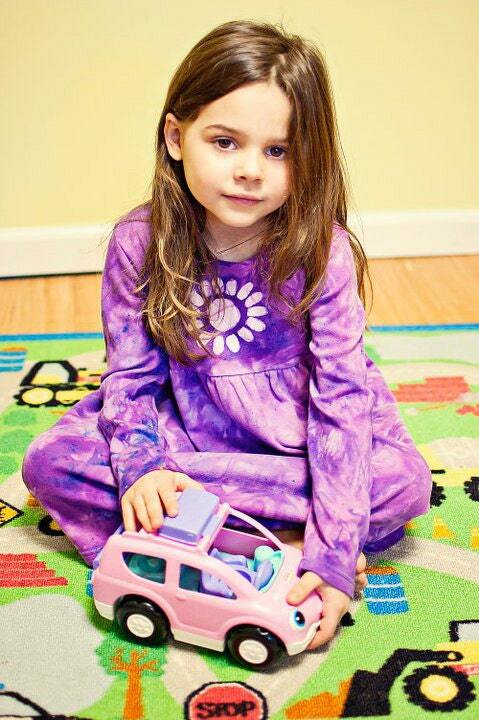 The peace sign is back, and kids love to wear it! 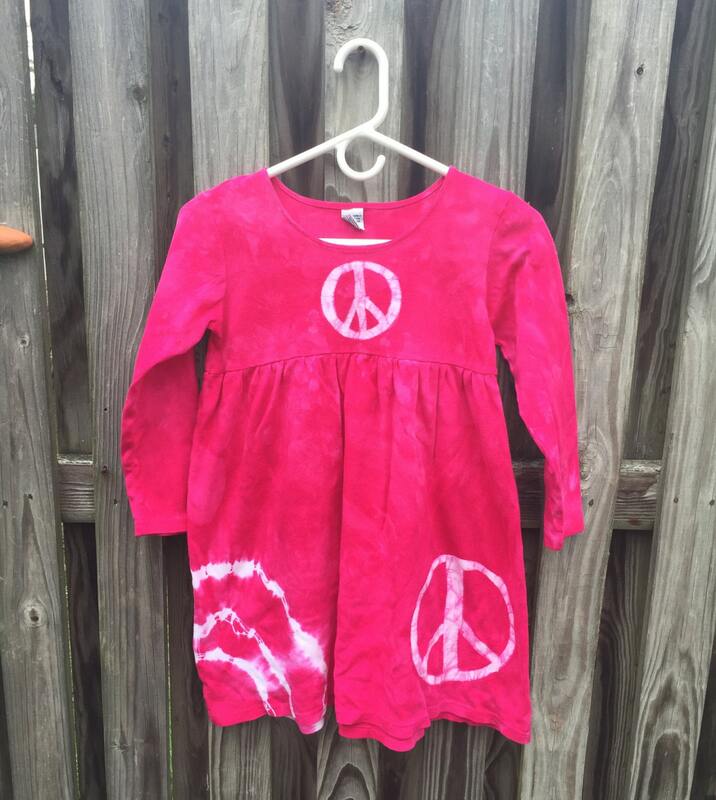 Here, I've freehand-drawn the peace sign onto the bodice and skirt of a size 8 girls long-sleeve dress. 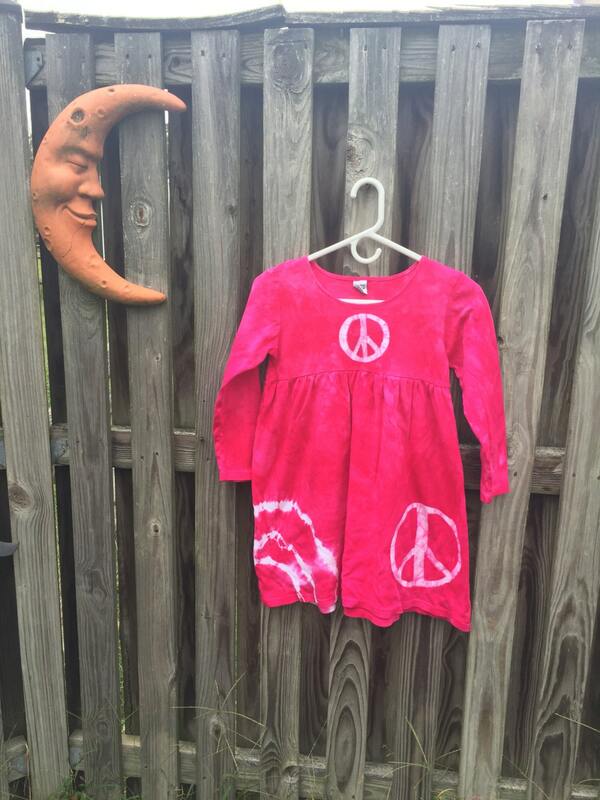 I dyed the garment a bold fuchsia pink that is sure to get noticed! 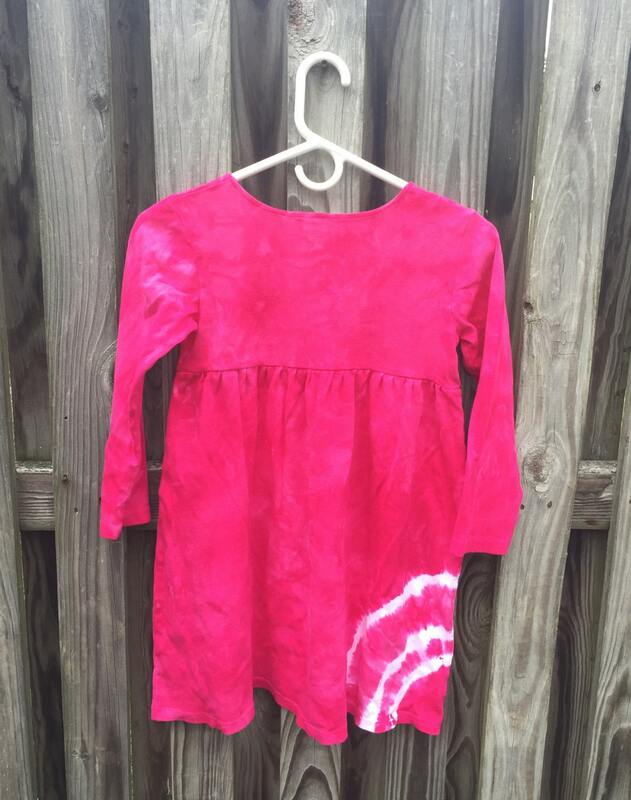 A few lines of tie dye accent the bottom of the skirt.